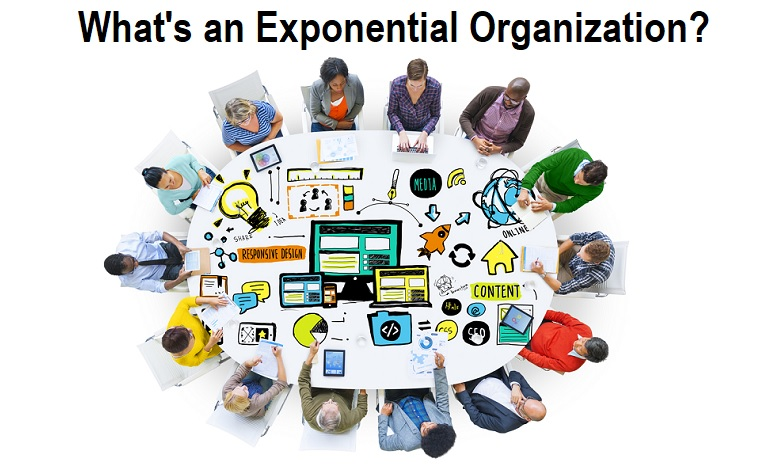 Both Netflix and Uber are described as exponential organizations. They both successfully have an exponential growth curve leading to their world dominating brands. Understanding how others have had this kind of success, and being able to recognize the future trends, is key to success in your own organizations. This Infographic is based on the most essential points from the book “Exponential Organizations” by Salim Ismail you need to understand and implement in your own organizations to reach the same amount of success. In the Infographic below, the Right People Group has summarized five of the main points from the book with things you need to consider if your organization wants to be a part of the future with success. Exponential organizations such as Netflix and Uber are all characterized by their ability to utilize new technology for their exact business. Using technology in the correct fashion reduces marginal cost which makes the business model scalable to a degree we haven’t seen before in business. The key for the exponential organizations is flexibility towards to market and the ability to adjust immediately. Being flexible is easier said than done. It describes how traditional organizations is all victim of a previous well-implemented immune-system. Your organizations immune-system is all the structures you have created to minimize risk and reduce the cost for the result of maximum profit. The only problem is – your structures demands to much work. Structures created in a traditional world won’t survive in the 21’th century where all of our current structures will be changed. This is why the book talks on how exponential organizations are going to change the way we do good business. It is his main point that organizations across businesses need to implement and utilize new technology before a small start-up is taking over the market. In “Exponential Organizations” the author introduces 10 different elements he has observed to be general across all exponential organizations that he has reviewed. The book introduces these very thorough and helps you to understand how you can implement them in your own organization. Here we have assembled the 5 most significant (and easiest) points for you to consider. We hope you find the Infographic helpful for a small overview of what the future holds for your business. And remember – if you don’t shape the future, others will do it without you.